The Fisher campus is participating in a regional e-scrap drive, which gives faculty, staff, and students the opportunity to recycle unwanted electronic goods. The drive is also a fundraiser for Camp Good Days and Special Times, an organization Fisher is deeply affiliated with. Fisher is one of the electronic waste drop off stations throughout the Rochester and Buffalo area. This is the second year that Fisher has participated in the drive, which will last from Jan. 30 to Feb. 11, and the ninth year that the Sunnking Company has hosted the drive. Last year, Fisher contributed 1,331 pounds of e-waste to the region-wide total of 519,166 pounds, which raised a total of $12,457 for Camp Good Days. This year’s drive coincides with the Teddi Dance, which raised $87,180 for the camp last year. The coordinator of Fisher’s sustainability center, Dr. Michael Boller, got the campus involved in the drive by setting up a drop off center at the ISHS recycling room. 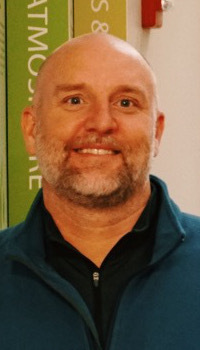 Boller explained that he found out about the drive through Sunnking, a company that makes a profit by reselling viable electronic components and recycling the non-reusable materials. In the eight years that the drive has been going on, the company has raised more than $87,000 for Camp Good Days. Some of the materials that are recovered include valuable metals such as gold, platinum, silver, copper and aluminium, which are used as conductors in electronics. “Those rare earth metals that we’re using to carry the electrons are limited resources, so we want to make sure we reuse them when we can,” Boller explained. Sunnking’s website also mentions that plastic, steel and iron parts of electronics can be recovered for reuse. According to the EPA, only 29 percent of the 3.4 million tons of American e-waste was recycled in 2012, with much of it going to landfills. Boller explained that recycling e-waste not only recovers materials, but also prevents toxins from contaminating the environment. “When things are just dumped land up in landfills, they also have toxins, like chemicals, the components, and batteries. And if that were to get leached into the soil, that would be bad ecologically,” Boller explained. Sunnking’s website listed lead, mercury, lithium, and cadmium as some of the toxins they regularly dispose of. According to Boller, the most popular donations are televisions and printers, as well as some video game consoles. 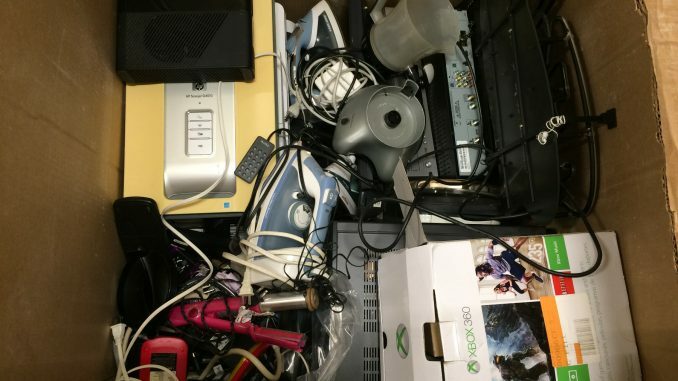 although a wide variety of materials are eligible The majority of the donors have been faculty and staff members, but Boller wants to see more students get involved by donating unwanted electronic items. “We’re going to do some outreach later in the week to try to get more students knowing that they have the option to get rid of some of their old electronics,” Boller added. In addition to Fisher, there are at least 27 Sunnking drop off locations in the Greater Rochester Area, including the Ecopark. The donations are by appointment.